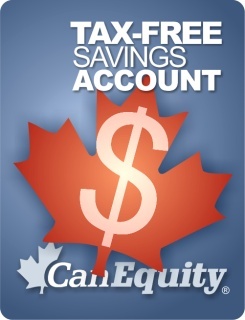 In 2009, the Canadian federal government introduced a savings vehicle called the tax-free savings account (TFSA). The TFSA allows Canadian residents who are 18 years of age or older with a valid Canadian social insurance number to set money aside tax-free during their lifetime. An individual can only contribute up to their TFSA contribution room. Unused TFSA contribution room can be carried forward to later years. The total amount of TFSA withdrawals in a calendar year is added to the TFSA contribution room for the next calendar year. So here’s a little education on what a TFSA is and how it compares to an RRSP. At what age can I start contributing? For an RRSP you can contribute only if you have declared income and file a tax return. With a TFSA you can open an account if you are Canadian and 18 years old. Yes if it is an RRSP, and you may get a refund, but if you take money out of an RRSP later – it will subject to tax. With a TFSA it doesn’t reduce your taxable income (you may not need a deduction in that year) but if you decide to withdraw money – you don’t pay tax. Can I “replace” my contribution if I withdraw from the account? This is in my opinion is a key advantage of a TFSA… When you withdraw money you automatically create contribution room for the next year. This means you can replace what you withdraw in the future without penalty. Only with the Home-Buyers Plan and the Life-Long Learning Plan can you withdraw from an RRSP and pay it back. Do savings grow tax-free or tax-deferred? In RRSP they grow “tax-deferred”, meaning you will pay tax upon withdrawal. 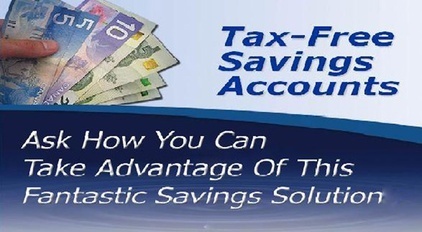 With a TFSA your savings grow tax-free! Yes with a TFSA! I have many clients who use this for vacations – or to pay for home renovations – buy a car… whatever. With an RRSP a withdrawal is considered earned income and taxes are withheld at the time of the withdrawal (unless you participate to the Home Buyer’s Plan or Lifelong Learning Plan). *Molchan Financial is committed to helping you and your family achieve your financial goals. We are obligated to inform you that the product descriptions and information that follow are intended for educational purposes only and are not to be considered as a solicitation to purchase any security. Commissions, trailing commission, management fees, and expenses all may be associated with segregated or mutual fund investments. Please read the prospectus before investing. Segregated and Mutual funds are not guaranteed, their values change frequently and past performance may not be repeated. To obtain a prospectus, or further information, please contact our office. Our Web Pages are under constant revision and subject to change without notice. Due to the dynamic nature of the Segregated and Mutual fund industry, we can make no guarantee as to the accuracy of the information presented.